A dear friend of mine, M., recommended this book to me when I asked him for feedback on my project in the summer of 2017. A couple of years earlier, when I was looking for a completely new job, he had recommended another title ‘How to find fullfilling work’ from the same series called ‘The school of life’. Since that was such a success I couldn’t wait to read ‘How to change the world’. The read was definitely worth my while, but I finished it with mixed feelings, which I will briefly explain in the first section. Besides that I realised I can read it in two ways: On the one hand, it offers a lot of practical help for the phase of my project where I feel I know what should be done to get more people doing more things that our planet and humanity need. On the other hand it also implicitly and explicitly gives some answers to my question, which are the topic of the second section. This entry was posted in Your planet! Your turn! and tagged Book review, How to change the world, Sustainability, Too little too late on April 3, 2019 by Frank van der Most. This entry was posted in Uncategorized and tagged De Groene, De Groene Amsterdammer, Te koop on March 30, 2019 by Frank van der Most. As a side-product of the robot ball that I am building now, I developed a quick-release box for the Mindstorms NXT 2.0. It has a nice trigger mechanism that you might be able to use in your own Mindstorms MOC. Check out this page for the design, more pictures and a demo movie. 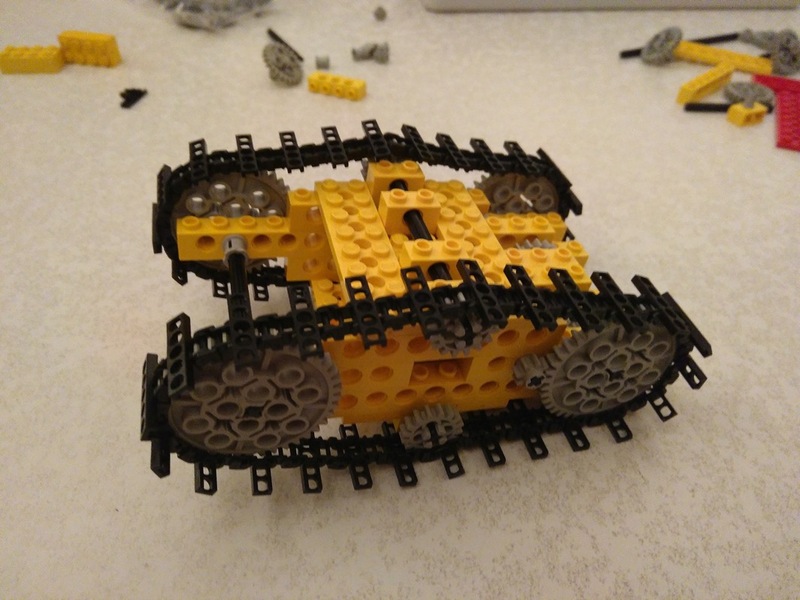 This entry was posted in Lego and tagged Lego, Lego Mindstorms, Lego Technic, Mindstorms, MOC, NXT 2, Technic on March 17, 2019 by Frank van der Most. This morning, on the walk with Kika, I saw a black woodpecker having breakfast four or five meters away from me. It is supposed to be shy, but it didn’t fly off. Maybe it didn’t see me because the sun was right behind me. Anyways, I managed to make a video. This entry was posted in Photos and tagged 2019, bird, Black woodpecker, Lund, Sweden on February 27, 2019 by Frank van der Most. Earlier, I made a truncated icosahedron (a football if you will) out of Technic Lego. A downside of the design was that the ball was not very strong. It would loose a bit of shape under it’s own weight, and a lot more if you pressed it. I developed three stronger designs for the hexagons (see below), but got distracted by other projects. Today, back on this track, I finished a new version based on the design at the far right. And indeed, it is a whole lot stronger. It can roll easily and even stand some pressure. Since the pentagons are not reinforced and there is a tiny bit of slack in the hinges, it still looses a bit of shape, but I think it’s within limits for my purpose. So, I will now continue with the interior, to make it a mindstorms-driven self-rolling robot ball, or ball bot, or whatever. 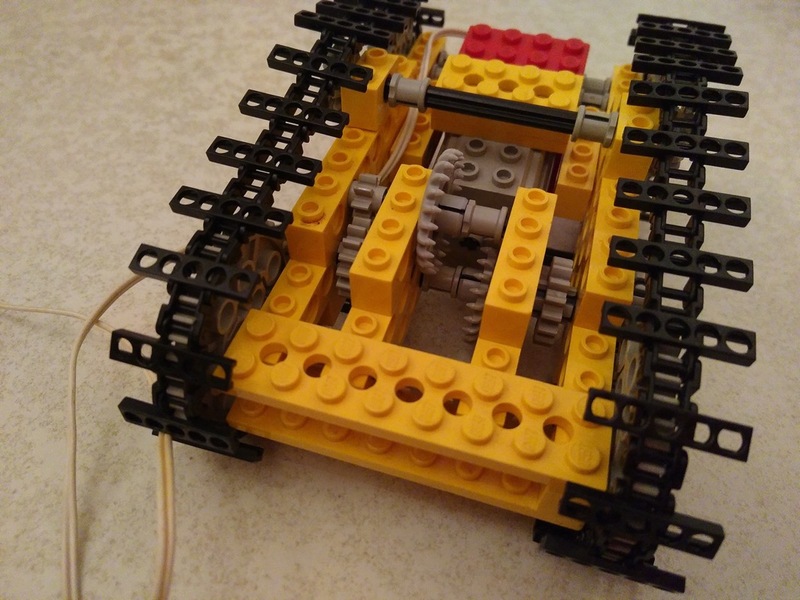 This entry was posted in Lego and tagged Lego, Lego Technic, Mindstorms, Technic, Truncated icosahedron on February 17, 2019 by Frank van der Most. After making the simple tracks in early Technic, I wondered if I could get the mechanism ‘inside’ the tracks so it could also upside down? Well, that wasn’t that hard. Could it be even better, that the tracks would drive up to something, tumble over and drive away? A little bit harder. From the outside they look more or less the same, but on the inside sit quite different gear boxes. This entry was posted in Lego and tagged Early Technic, Lego, Lego Technic, MOC, Tracks on February 15, 2019 by Frank van der Most. The support for the star was already finished in December, but I was not happy with it. It could not hold a light and the way the pole was connected to the support base, was messy. Sometimes you need to put your mind to other things and then come back to suddenly see the light, or how it could be built in. And see how a change in one place can make things a whole lot easier in another… Perhaps you know what I mean. Perhaps not. Anyways, the star can now be put to shine somewhere. See here for more pictures and a free download of the design. This entry was posted in Lego and tagged Lego, Lego Technic, MOC, Star, Technic on February 10, 2019 by Frank van der Most.